At mnartists.org, we published more than 125 articles last year – original essays, reviews, profiles and interviews – about and by local artists, covering the issues, personalities and trends relevant here and elsewhere in theater, visual arts, music, dance, architecture, fashion and more. Below, you’ll find a rundown of the original arts writing with the most readers in 2012. The most beloved art in the Twin Cities? 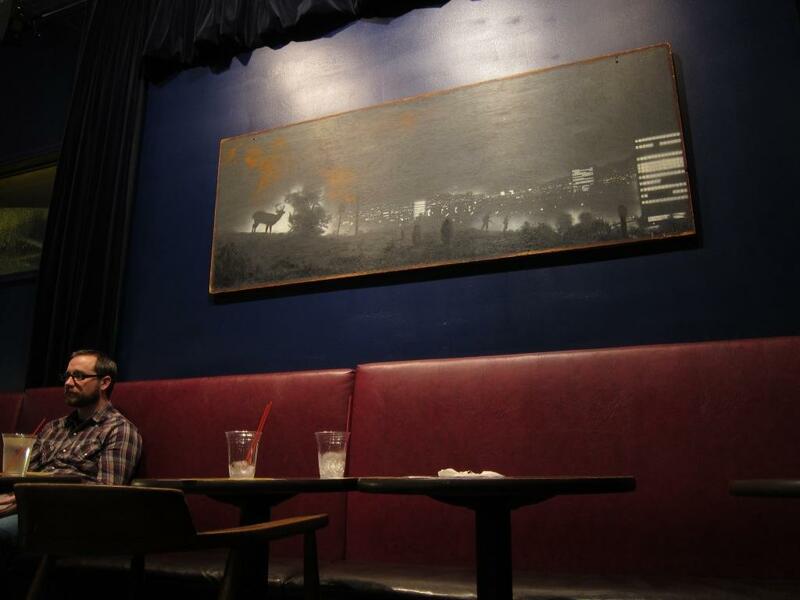 : Andy Sturdevant unearthed a love story of sorts – about a Minneapolis bar, its many regulars, and a certain moody landscape painting with mystery and loads of apocryphal tales, which he argues may just be the most beloved artwork in the city. 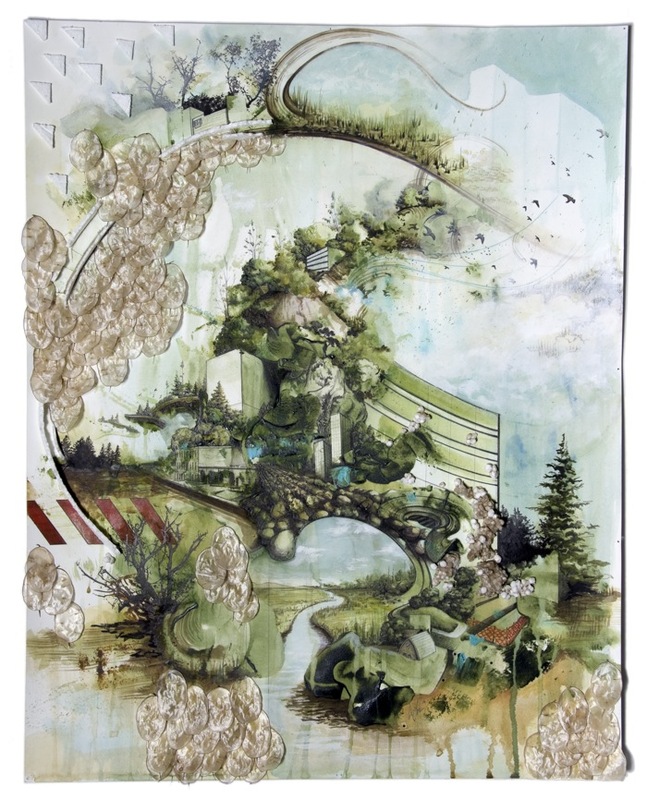 Rural art gets its due Twin Cities-to-Mankato transplant Stephanie Wilbur Ash got ahead of the buzz on Rural America Contemporary Art (aka RACA) with this late 2011 profile on the artists behind the inception of the group aiming to “make nowhere into somewhere”. 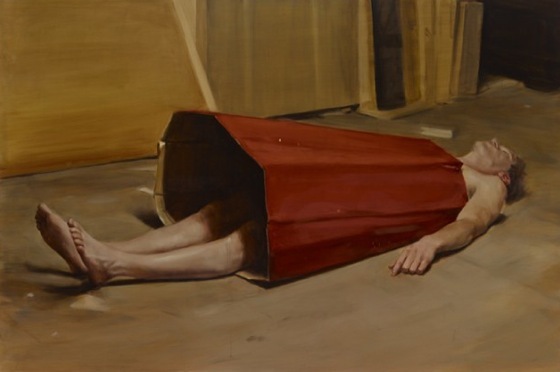 Michael Borremans, “The Devil’s Dress,” oil on panel, 2011. Courtesy of David Zwirner. A painter on painting: Artist Ruben Nusz gave a close reading of the haunting paintings by Belgian painter Michaël Borremans, on view in early 2012 at David Zwirner in New York. Inverting the male gaze: Last spring, Sheila Regan looked at the Minneapolis Institute of Arts’ multimedia exhibition, The Sports Show, as a lens through which to assess our changing norms and mores about race and gender. Inside the dance: Poet and dancer Lightsey Darst gave a candid personal essay on her years in ballet class — the devotion and the ordeal of daily practice, and the human moments of pain, pettiness, and triumph. “Becoming an Artist All Over Again,” Ann Klefstad’s profile of Duluth-based artist Marian Lansky, a graphic designer who reinvented herself mid-career to create Shy Nimitta.